Smokey (registered with AQHA as This Whiz Shines) and Bob Baffert are featured in the May 2015 issue of America’s Horse, a magazine available exclusively to AQHA members. 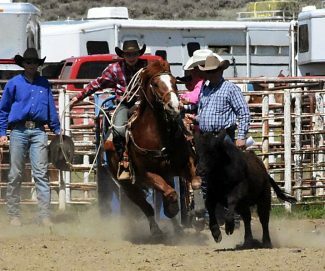 The 6-year-old buckskin American Quarter Horse gelding is by Shiners Chex Olena and out of Si Rositas Whiz by Whiz N Chex. 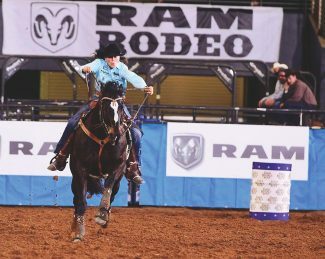 Formerly a reining horse, Smokey has earned more than $1,300 in National Reining Horse Association competition. 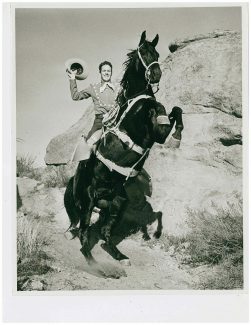 These days, though, Smokey escorts Thoroughbred racehorses to and from their morning workouts and to the starting gates, and Smokey also serves as a mount to news anchors, including legendary trackside reporter Donna Brothers. It’s not just Smokey who has AQHA ties, though. 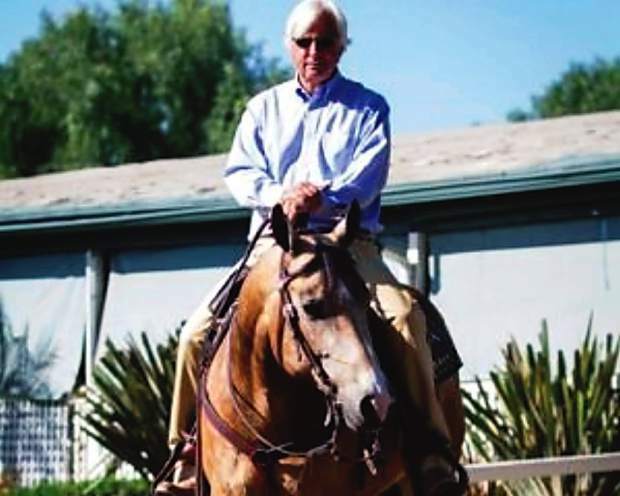 America knows Bob Baffert, Smokey’s owner and American Pharoah’s trainer, as a leader Thoroughbred racing trainer, but Bob actually got his start with American Quarter Horses. Needless to say, we are unbelievably #AQHAProud of Bob and Smokey’s achievements and all the attention they’re receiving. In honor of America’s favorite pony horse and the 12th Triple Crown winner, we rounded up 12 of Smokey’s best moments from the week leading up to the Belmont Stakes.